Updated Condo in an OUTSTANDING location. This condo would be perfect for a med school student or an investor wanting a great Airbnb rental or even a long term rental. 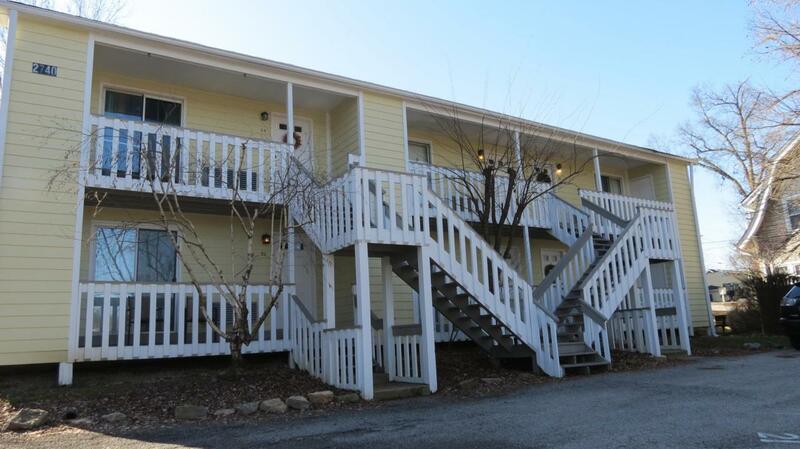 Walk two blocks to shops, dining and night life on Frankfort Avenue or right down the hill to Lower Brownsboro Rd. It's also an easy shot to get downtown, I-64 and I-71. This condo is easy living. It has an open floor plan with a large living room with sliding doors out to a quaint patio. The kitchen is versatile. Plenty of room for a bistro table and a couple bar stools under the counter. Stainless steel appliances and updated cabinets as well as a pantry for storage. There is a stack-able washer and dryer and a recently updated bathroom.Easy-to-clean hardwood laminate flooring in the living room and bedroom and tile in the entry, kitchen and bathroom. The bedroom is large and has a double closet and there is extra (lockable) storage off of the patio if you should need it. Pets Friendly. Rental allowed.